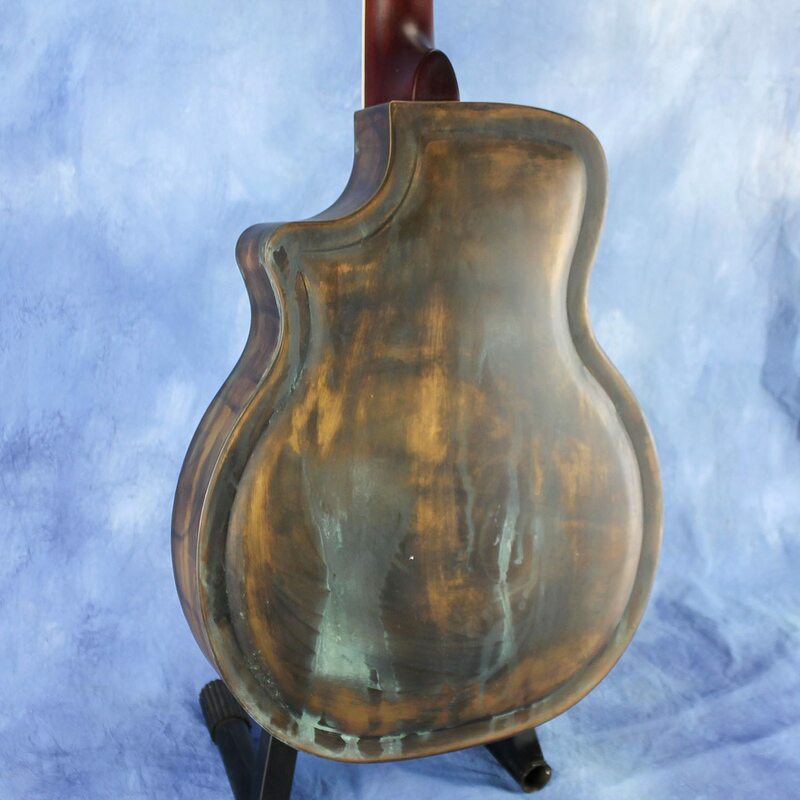 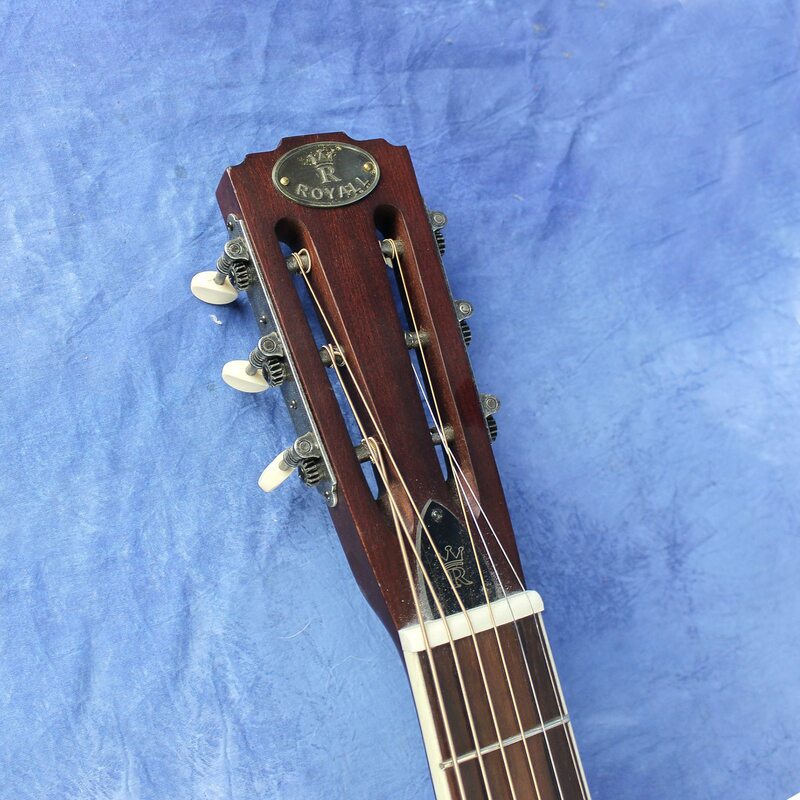 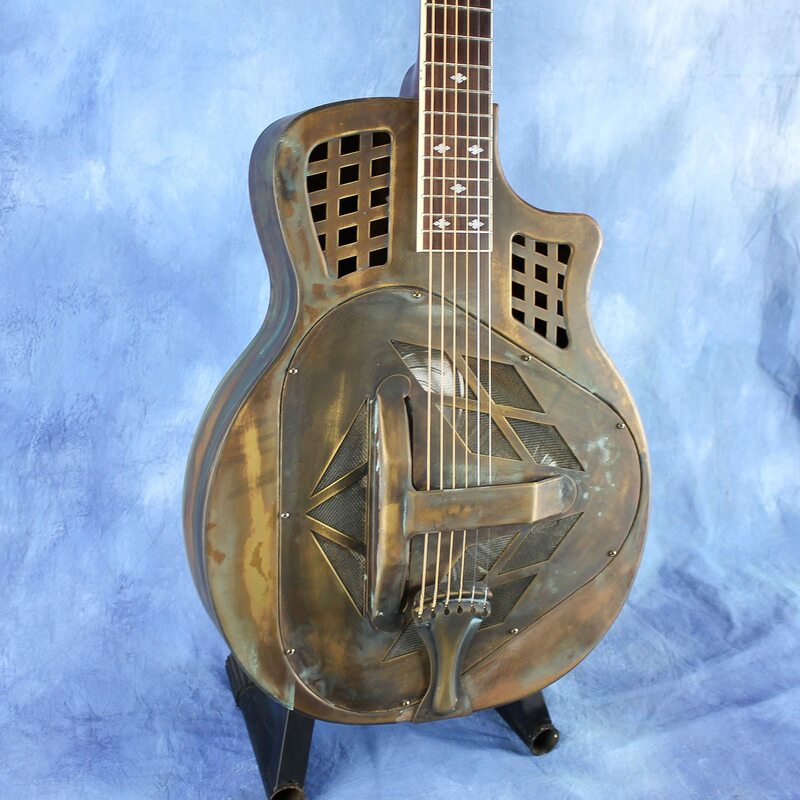 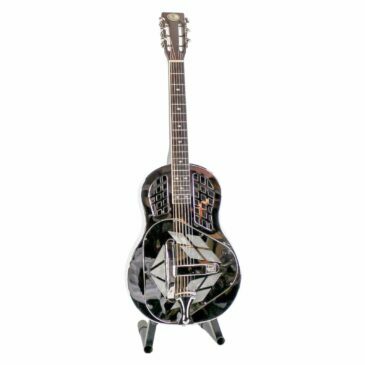 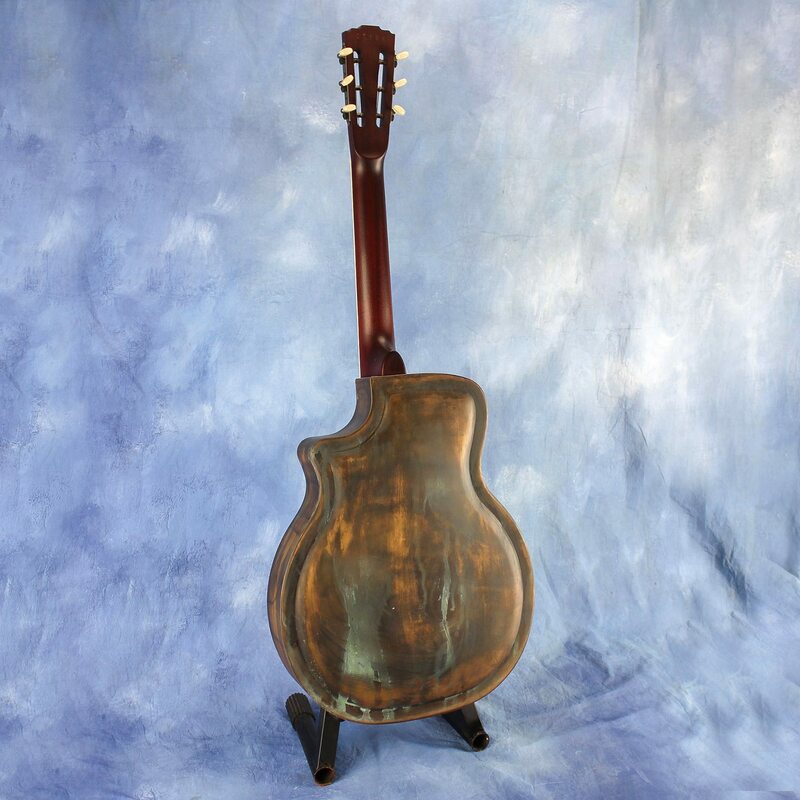 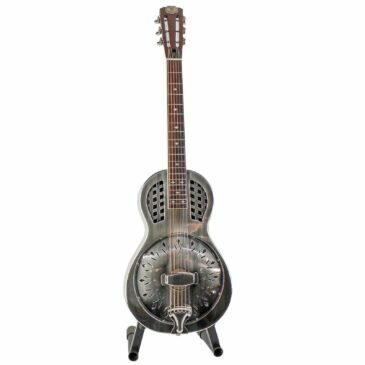 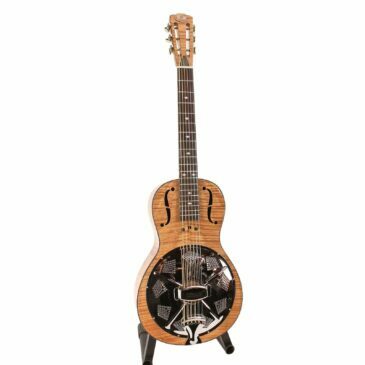 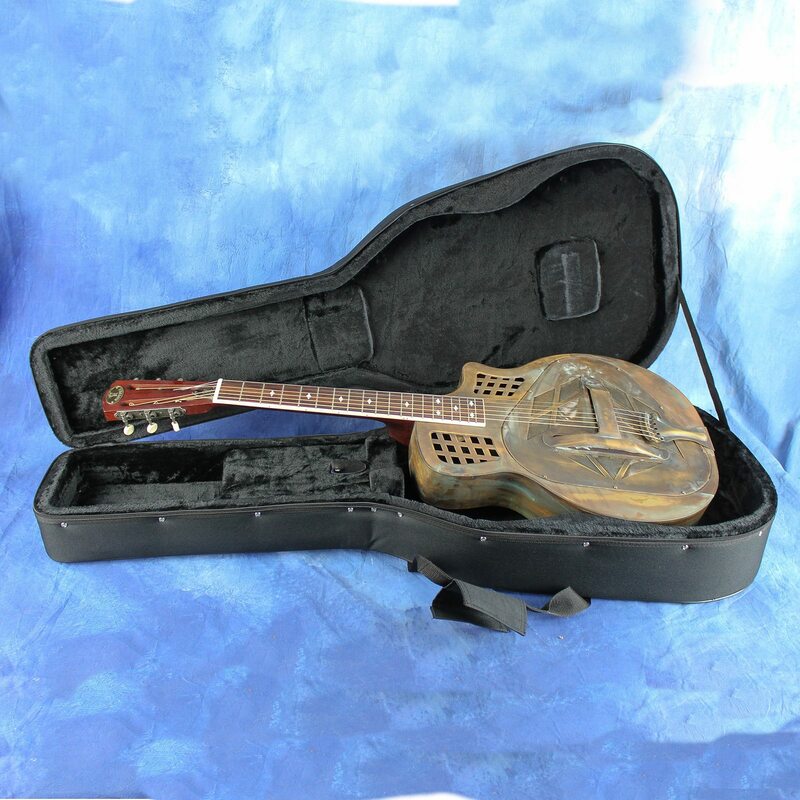 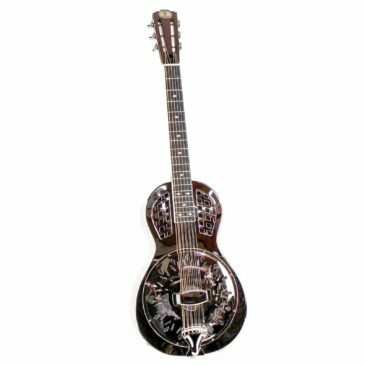 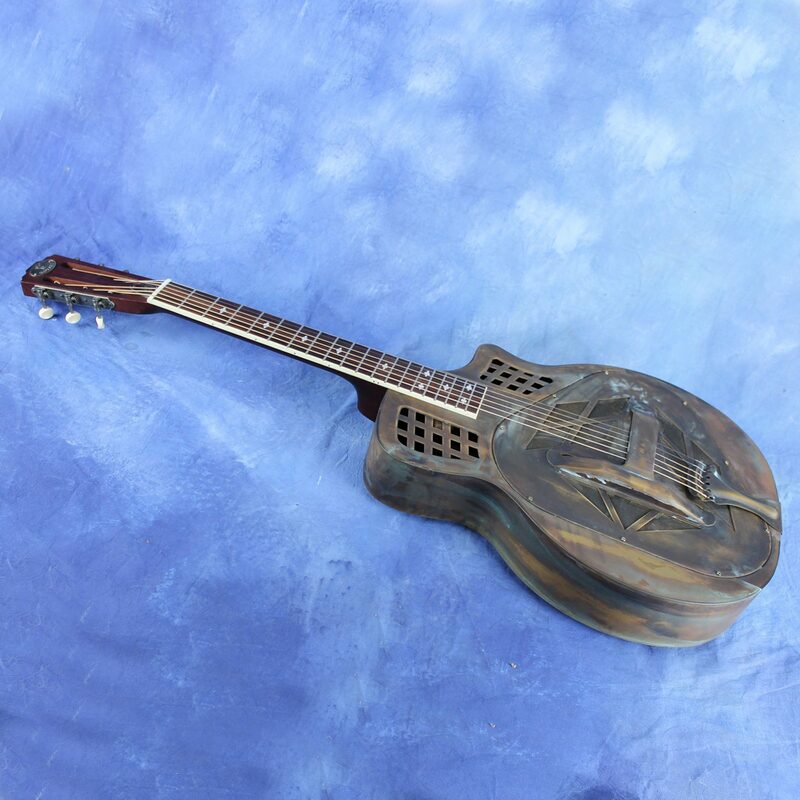 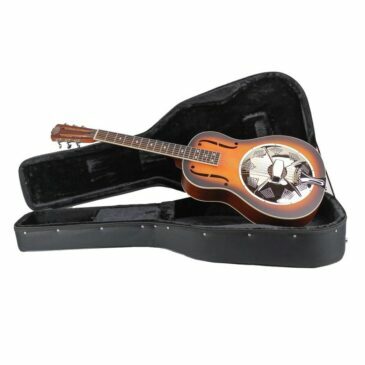 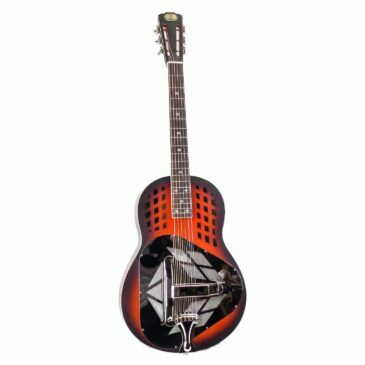 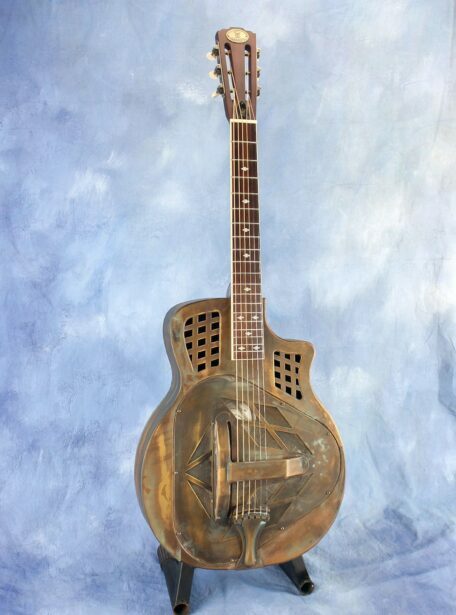 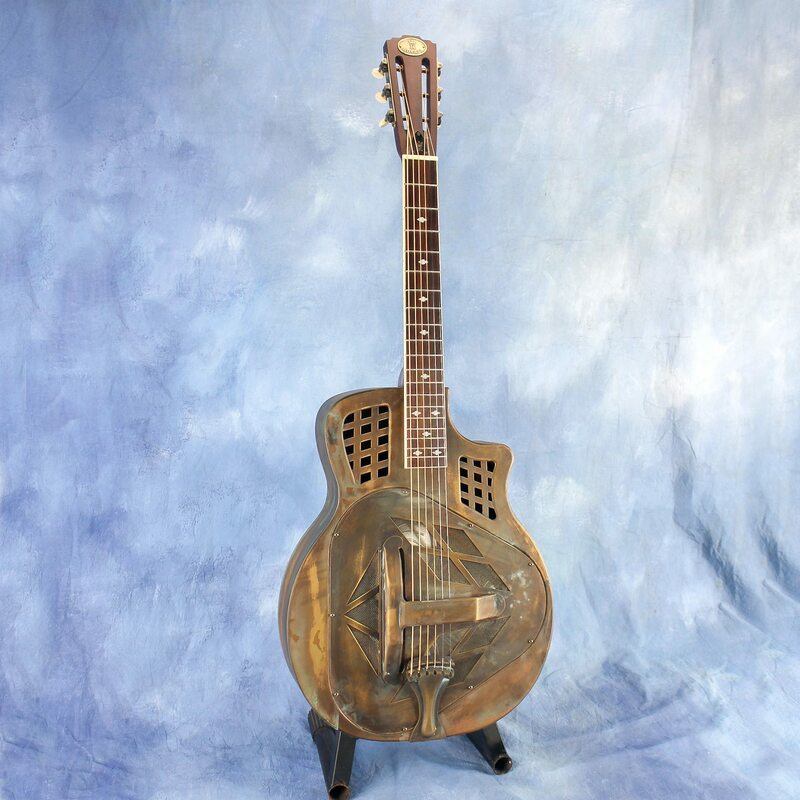 The Trifecta is our 12 fret tricone model in the new Imperial Valley Royall resonator line. 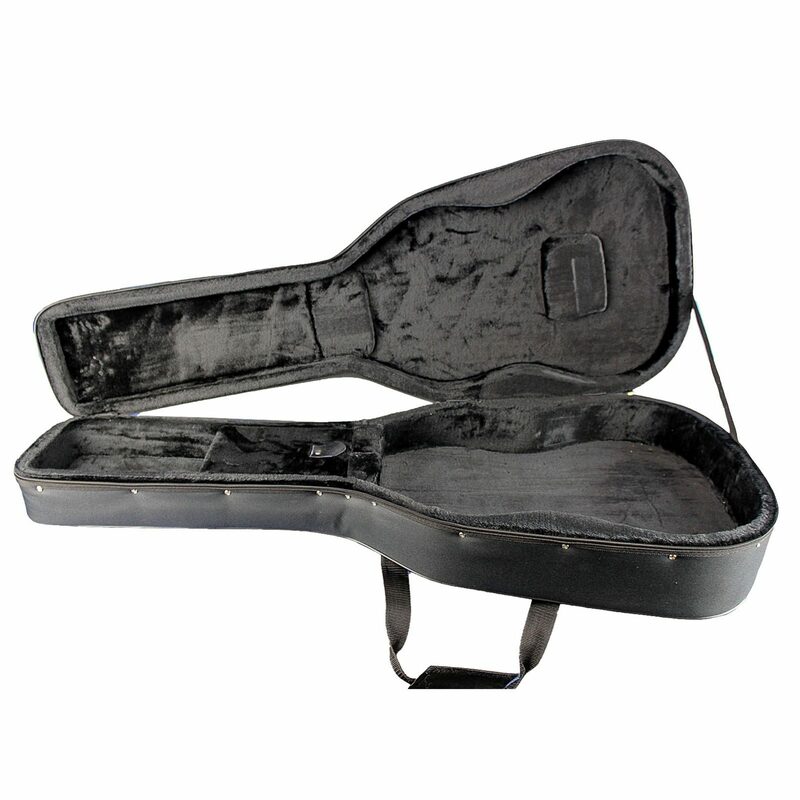 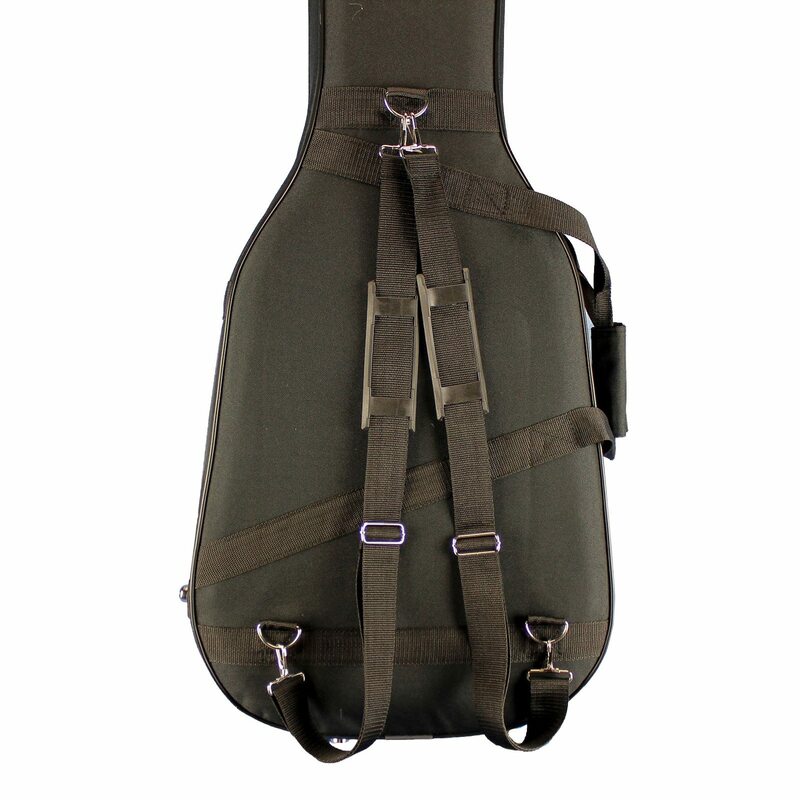 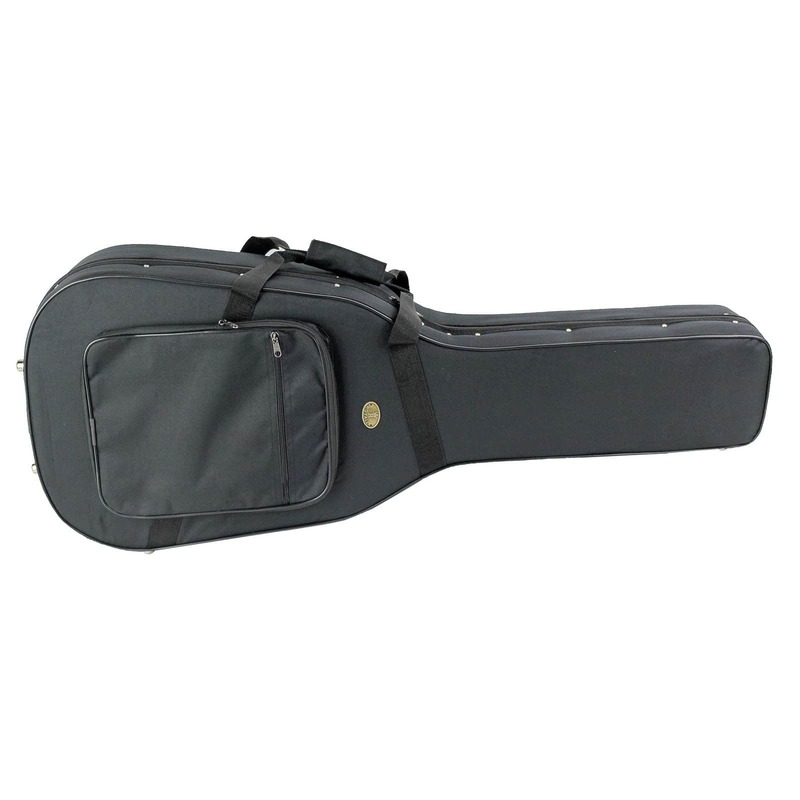 Based on the classic National Style 1, it has that distinctive tricone sustain and creamy tone. 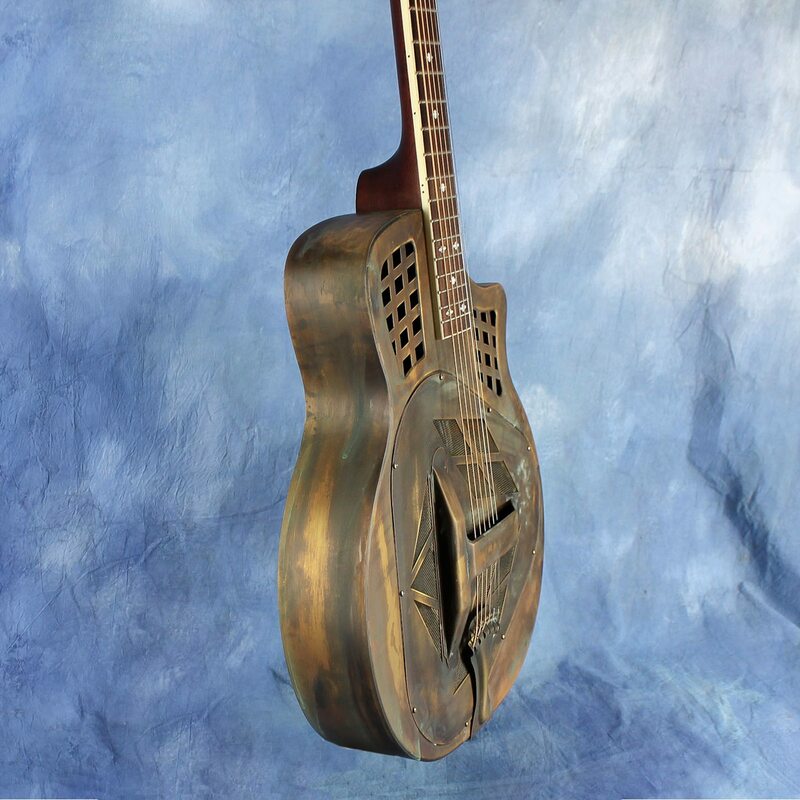 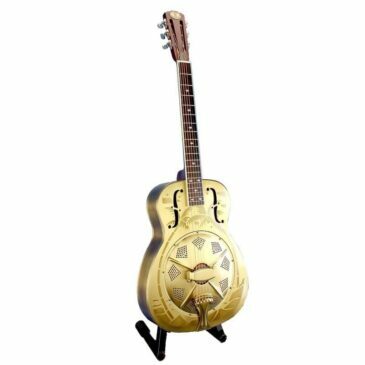 I should warn you that there’s only one in this distressed brass finish.